Newfoundland; saccate thallus. Eric Henry. © Eric Henry (eric@reedmariculture.com). Published in: Farlow, W. G. (1882). 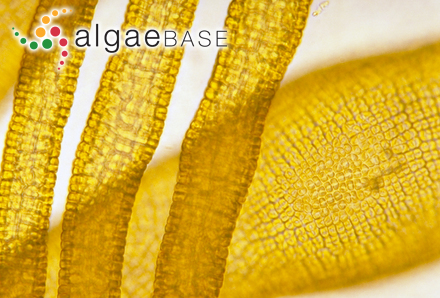 Notes on New England algae. Bulletin of the Torrey Botanical Club 9: 65-68. This is the type species (holotype) of the genus Phaeosaccion. Cryan, A.E., Benes, K.M., Gillis, B., Ramsay-Newton, C., Perini, V. & Wynne, M.J. (2015). Growth, reproduction, and senescence of the epiphytic marina alga Phaeosaccion collinsii Farlow (Ochrophyta, Phaeothamniales) at its type locality in Nahant, Massachusetts, USA. Botanica Marina 58(4): 275-283. Gabrielson, P.W., & Lindstrom, S.C. (2018). Keys to the seaweeds and seagrasses of southeast Alaska, British Columbia, Washington and Oregon. Phycological Contribution 9: [i]-iv, 1-180. Accesses: This record has been accessed by users 3005 times since it was created. Chen, L.C.-M., McLachlan, J. & Craigie, J.S. (1974). 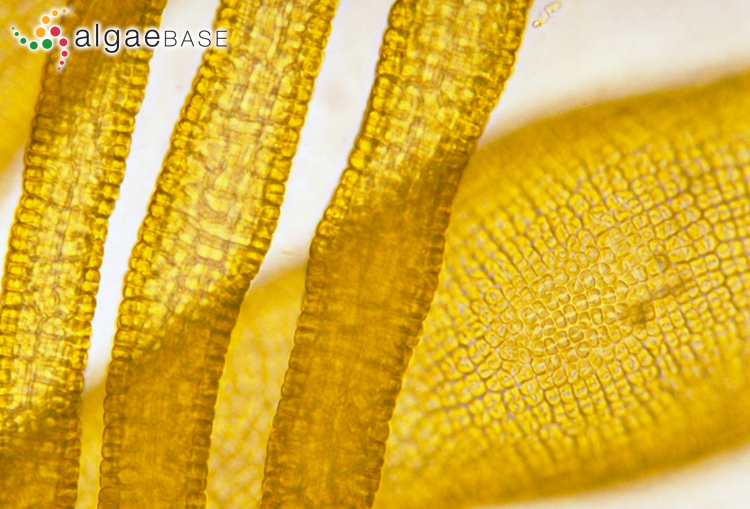 The fine structure of the marine chrysophycean alga Phaeosaccion collinsii. Canadian Journal of Botany 52: 1621-1624. Craigie, J.S., Leigh, C., Chen, L.C.-M. & McLachlan, J. (1971). Pigments, polysaccharides, and photosynthetic products of Phaeosaccion collinsii. Canadian Journal of Botany 49: 1067-1074. Kawai, H. (1989). First report of Phaeosaccion collinsii Farlow (Chrysophyceae, Sarcinochrysidales) from Japan. Japanese Journal of Phycology 37: 239-243.